GUANGZHOU • In a football field surrounded by historic shophouses in Guangzhou city, 20 boys from Hou Le Yuan Primary School are being put through the drills. At the halfway line, a boy plays a quick one-two with a teammate, then drives a long ball forward. Ten metres ahead of them, two other boys take off. One sprints down the flank for the ball and whips a quick pass towards goal. Lu Junhui, 10, arrives to meet it. He shoots. He misses. He runs back to the halfway line. Another pair of boys restart the process. For three hours every school day, this is the routine for Hou Le Yuan's football team before and after classes. Tanned and wiry from their hours in the sun, most of the boys - aged from 10 to 12 - hope this is the first step to greater things. "My favourite player is Lionel Messi," says Junhui, referring to the FC Barcelona and Argentina star. "One day, I hope to play overseas, in the Spanish football league." Messi is almost every boy's favourite player here, not just because he is famous and very good, but also because he has succeeded despite being rather small for the game. But the 1.69m-tall forward - small in size but colossal in footballing prowess - is the exact inverse of China, a giant in many fields but a minnow on the grassy ones. China's average historical football world ranking is 71 and it has not qualified for the World Cup finals since the 2002 tournament, where it conceded nine goals without reply in three group games. Football is a source of anguish for its estimated 300 million fans - or about one-fifth of the population - who have had to endure decades of mediocrity despite their nation's massive population base. The malaise is rooted in the deep-seated graft and match-fixing that plagued the domestic football league in the 1990s and 2000s, which was flush with money from state-owned enterprises but became quickly infiltrated by gambling syndicates and triads. Those caught admitted that bribery was endemic, and that matches were regularly thrown to provide kickbacks to players, referees and local officials. Even a spot on the national team can be purchased for 100,000 yuan (S$22,000). This led to a plunge in interest in domestic football and a retreat of corporate sponsorship. Crucially, grassroots interest waned as well as families pulled children out of football programmes. This may change, however, if President Xi Jinping has his way. A self-professed football fan and a former school player, Mr Xi has made reforming Chinese football one of his priorities since taking power in 2012. Captaining China to football success, analysts say, will score not just sporting goals but political ones too. Mr Xi, in 2011, had declared his wish for China to qualify, host and win the World Cup. Then last year, China announced that football would become a compulsory part of the national curriculum in school. That was followed by an ambitious blueprint unveiled in March by a high-level working group chaired by Mr Xi himself. Its 50-point plan includes restructuring the Chinese football association, clamping down on match-fixing and promoting youth participation. It aims to turn China into an Asian powerhouse "in the medium term" before aiming to qualify for or host the World Cup finals. Despite China being typically associated more with table tennis, badminton and basketball, football is in fact the top sport in the country by interest and number of people watching it, says historian Xu Guoqi from the University of Hong Kong. Football receives the highest marketing revenue in China because of this popularity and matches accounted for half of all the sports games broadcast by national broadcaster CCTV in 2013. The media estimates that China's football industry is worth 800 billion yuan, or about 40 per cent of the country's sporting industry. "Football is a game for the masses and so becomes another way for Xi to fashion himself as a man of the people," says Prof Xu, who has researched politics and sports. "Chinese football is so low now, the only way is up. If Xi succeeds, he'll be a national hero." An editorial by state news agency Xinhua in 2013 had tagged Mr Xi's vision of a resurgent China to the sport. "The 'Football Dream' is also the 'China Dream'," it said, referring to Mr Xi's "China Dream" vision. But while the Chinese love watching football, they do not like playing it as much. The national association has a dearth of young players as families do not want their boys joining the graft-tainted sport. Only 190,000 student players are registered with the local sports authorities now, less than one-third of the number two decades ago. But Mr Xi's anti-corruption drive is giving hope to parents. In 2013, one crackdown saw 33 people - including former football chiefs, referees and national players - banned for life from football and fined or jailed for corruption. "China's football was poisoned, but now its tumour has been removed," businessman Lu Gang, 40, tells The Straits Times on the sidelines of the field as he watches his son, Junhui, take a shot at goal. The Guangxi province native travelled in 2013 at the age of eight to Guangzhou in Guangdong province to enrol in Hou Le Yuan, a regular primary school that has had a strong football programme for more than 50 years. Mr Lu encouraged Junhui to pursue football in Guangdong as there were no good school programmes in Guangxi. He even uprooted himself and now bases his work in Guangdong to help his son. "I'm not saying my son will become a professional footballer, but I'm willing to support him as far as he can go," he says. Mr Zhang Weichao, 40, echoes this sentiment. The two are among the dozen parents who show up daily at Hou Le Yuan to watch their sons train. "I used to be the only person in the family willing to support him in football, but now the family has got behind him too," he says of his son, Jiajie, 12, who will head to Spain in a few months for a training stint. 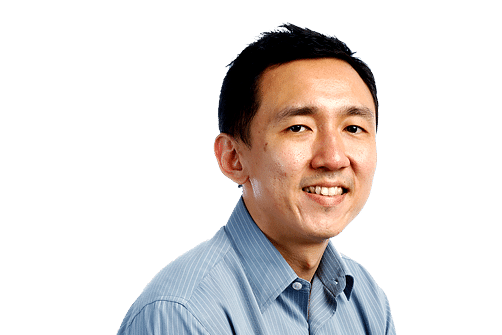 Junhui and Jiajie represent the growing number of youngsters and their parents who are taking football more seriously, coaches tell The Straits Times. School football has been identified as a key plank of China's football ambition as it needs a large base of young players to form a strong national team. About 2.2 million children in 5,000 primary and secondary schools are exposed to three hours of football a week under China's school football scheme. The number of schools participating is set to rise to 20,000 by 2020 and 50,000 by 2025. Hou Le Yuan has received 30,000 yuan in grants for the team, although the football reform blueprint has only just been launched. Guangdong has traditionally been strong in football and will likely be one of the places where the blueprint will flourish. Its government has pledged to incorporate football as a sport in 1,000 schools by 2017. The plan will also be boosted by the fact that provincial team Guangzhou Evergrande won the premier Asian Champions League in 2013, the first Chinese team to do so in more than two decades. Just as importantly, sponsors are starting to return to the sport. In the most high-profile club investment so far, Chinese e-commerce giant Alibaba spent 1.2 billion yuan in June last year for a 50 per cent stake in Guangzhou Evergrande. Hou Le Yuan coach He Jianrong says with increased media attention, there are more sponsors for youth tournaments as well. These take place almost weekly in Guangzhou, giving boys more competitive practice. Local political leaders regularly grace these events, signalling that the government is serious about reforming football. But while the signs are optimistic, those involved in football say there remain many challenges. Coaches say they need more football fields, more training for youth coaches and more coordination between the education and sports authorities. And although China is used to lightning-fast development, its football - unlike its gleaming cities - cannot be built up overnight, they point out. Chinese players come up against those in top nations in Europe and South America, which have decades of tradition and experience and take football very seriously. China is still ranked 77th in the world and, as recently as 2013, the national team was handed a 5-1 drubbing by Thailand's youth team in a home game, sparking riots. "We have a plan and we can only say, let's try it out and see where we go," says Mr Li Jian, 40, who coaches the football team from Guangzhou No. 5 Middle School, one of China's top school teams. So when will China reach the World Cup finals again? Five or 10 years perhaps?